Lumen Legal is partnered with a company to identify and hire a contract Corporate Accounting Paralegal. This is a full time opportunity working in Peoria, IL. -This position will include daily invoice review, processing and data tracking. Support the monthly closing process, including accruals reporting and accounting reclassification, as needed. -Support monthly, quarterly, and annual cost tracking and update periodic reports. -Must be very detail-oriented and operate with a high degree of accuracy. -This position will also support our contracting department and provide basic paralegal functions around version control management and tracking regulatory timelines. -Must be willing to collaborate with all levels of the company, as well as external partners and suppliers to complete tasks. -This will also entail budgeting, tracking and proper processing of direct disbursements to outside organizations and agencies. -Bachelor's degree in Accounting or Paralegal required. -CPA preferred, or working towards CPA. -Energy Efficiency or Utility experience a plus but not mandatory. -Proficient in: Microsoft Office Suite with emphasis on Excel. -Familiarity with Salesforce, APImaging and Casework a plus. Please e-mail cover letter and resume to – Marsha Tatulyan @ mtatulyan@lumenlegal.com. Thank a Dispatcher this Week! It’s National Public Safety Telecommunicators Week, Thank a Dispatcher! And did you know you can become one at Illinois Central College? (Peoria, IL) - With warmer weather upon us, officers have responded to numerous incidents involving an armed robbery or theft to a victim as a result of an on-line transaction. The incident involves the sale of an item and a prearranged meeting location. Upon arrival to the prearranged location, the victim is robbed of the item at gunpoint or the item is taken by force or the suspect simply snatches the item and flees the area. use of the public in providing neutral grounds and safer transaction locations. Craigslist, Facebook Marketplace, letgo, etc. this purpose during the hours of 9am – 5pm. Experienced legal assistant with top secretarial skills. Part-time. Full-time Paralegal position available immediately! Candidate must be organized, pay close attention to detail, and possess strong computer and technology skills. Benefits available, salary commensurate with experience. Send your inquiry and resume to: Whitney & Potts, Ltd., Attn: Stephanie F. Schmieg, Esq., P. O. Box 368, Elmwood, IL 61529 or email to stephanie@whitneyandpotts.com. Watson Law is seeking a paralegal to assist with our extensive Family/Criminal Law practice. This paralegal position will be responsible for research, motion drafting, discovery preparation, assisting with preparation of trials/hearing, preparing final settlements, parenting plans, and creating property distribution analysis. The paralegal will also be required to keep track of their time via real time billable hours. As well, the paralegal position will be responsible for interacting with client professionally and frequently, answering phones and taking accurate messages, scheduling meetings, hearings, depositions or other events and take payments from clients. An applicant must be detailed oriented, be able to and professionally interact with clients, pro se parties, opposing counsels and other individuals involved in the Family/Criminal law process, be able to travel on occasion to one of our three offices (Bloomington, Washington and/or Peoria), and be able effectively manage their time and multi-task. The applicant must be a team player, strong computer skills, strong written and oral communication skills, and the ability to work in a fast-paced environment. The applicant must be able to perform any other reasonable task as requested by the firm management. The Law Office of Damon Young is seeking an experienced Worker’s Compensation/Personal Injury paralegal with a minimum of two years of experience. Candidate should possess a positive attitude, be highly motivated, well organized, detailed oriented and be able to work in a fast paced environment. This position is a full time, permanent position at our Mackinaw office. Work hours are Monday through Friday, 8:00am to 5:00pm. Salary is commensurate with experience. Please send resume and cover letter to Pat McGrath by email – pat.mcgrath@mcgrathpc.net. The Creve Coeur Police Department is currently accepting applications for full and part time police officers. Applications can be picked up at the Creve Coeur Police Department Monday thru Friday, 8a - 7p. Applicants for the full time positions must have their applications completed and returned by May 31st at 5p. Orientation and P.O.W.E.R. Test will be held June 8th, at 9a, at Eastside Center in E. Peoria. Written test will follow at 1p. Applicants must be 21 years of age by July 1, 2019, and not have reached their 35th birthday. (Unless exempted due to military service) All applicants must have a High School Diploma or GED, be a US Citizen, and have a valid driver's license. CIPA March Meeting @ ICC! 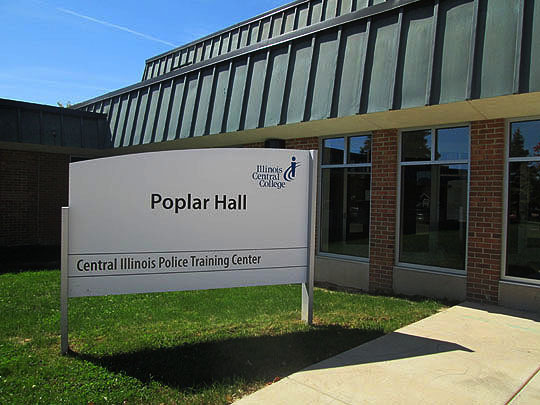 Please mark your calendars for Tuesday, March 19, 2019, and plan to attend CIPA’s monthly meeting at Illinois Central College, Poplar Hall 132, 5407 N. University Avenue, Peoria. Dinner (graciously provided by ICC) will begin at 5:30pm, with presentation at 6:00pm. Our featured speaker is Joseph Borsberry of Borsberry Law Offices, P.C. who will speak on exploring the ethical and practical approach to balancing conflicting responsibilities between the courts the legal system and the supervising attorney. The discussion will include topics covered in The Supreme Court of Illinois Rules of Professional Conduct 1.3, 1.4, 1.5, 1.7 and Rule 1.16 with examples and tips as to how to avoid common pitfalls in this sensitive area. One hour of CLE will be afforded. Please RSVP to the CIPA mailbox: cipa@ciparalegal.org or through the CIPA website (www.ciparalegal.org) on or before Friday, March 15. Please DO NOT respond to ICC. We hope you will joining us for this interesting presentation and the opportunity to network with your peers.